Join us for a special Design Week pop-up class! 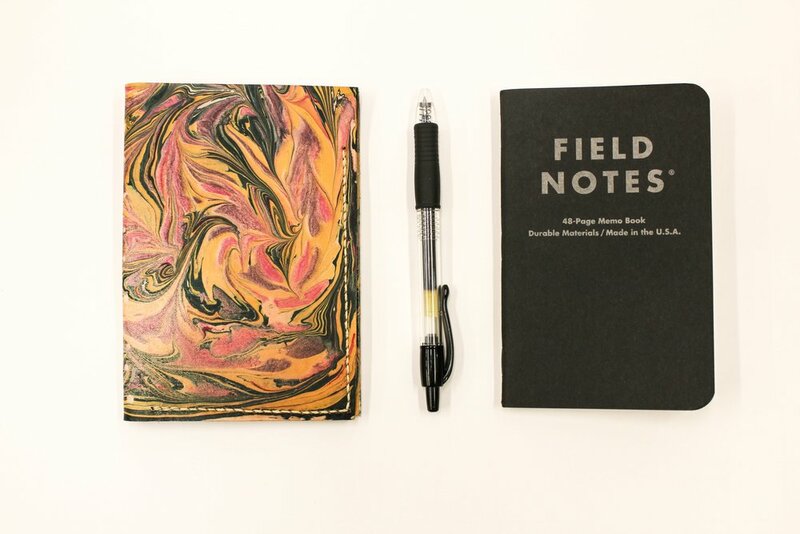 In 3 hours, students will make a custom leather notebook cover while exploring the wondrous world of marbling. 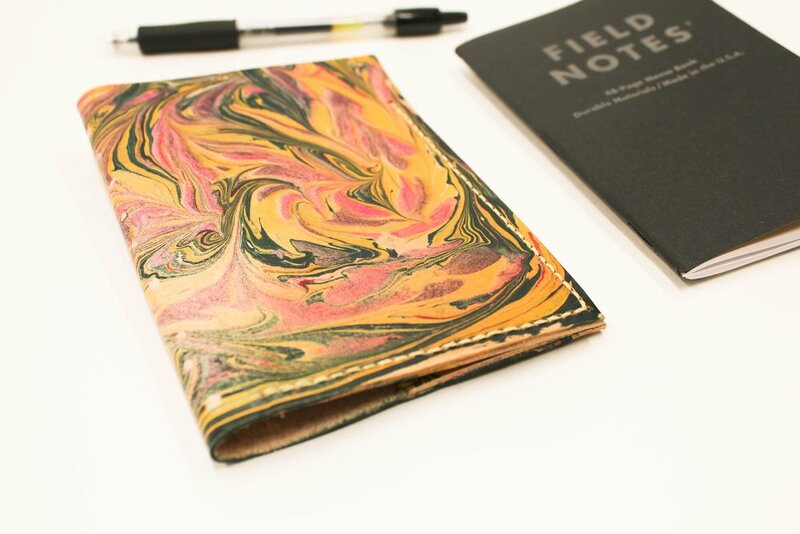 Using high quality acrylic paints, you'll experiment with colors, inking techniques and tools to create unique and beautiful designs. 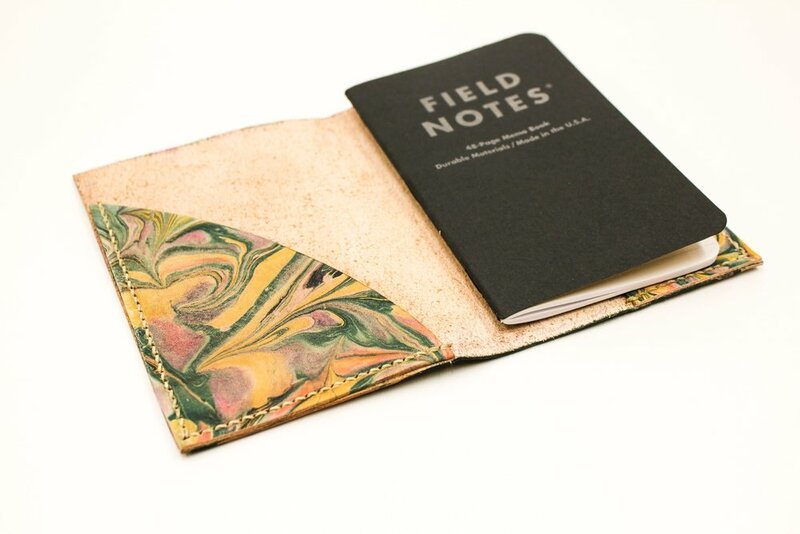 Once the leather is marbled, you'll learn how to saddle stitch the pieces together to fit a Field Notes notebook inside.